It's safe to say that Solange is killing the game. Her newest album, A Seat at the Table, debuted at #1 on iTunes, which is crazy (Many only know her as Queen Bey's baby sister, but not as an artist in her own right). Solo is nothing like Beyoncé, other than the fact that she's incredibly talented and has true star power. 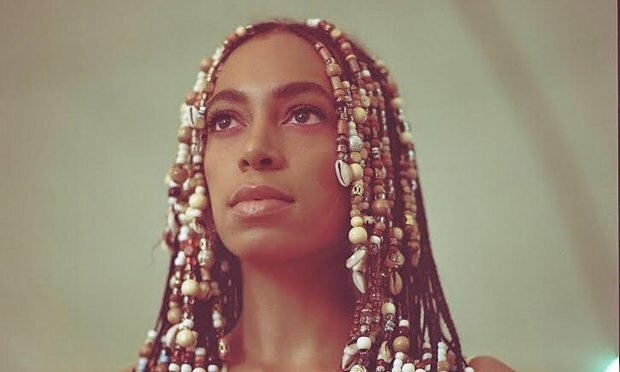 The younger Knowles sister has been making music for over a decade, and it's nice to see her finally get widespread acclaim. The project itself is brilliant. DO YOU SEE THIS BLACK GIRL MAGIC? Let me say this back to back for the people who didn't get the message. DO YOU SEE THIS BLACK GIRL MAGIC??? She did not come to play with y'all. Even though she's hit a stride, don't expect Solange to change her style or sound (no matter that it's undefined anyway) for any of us. Solo makes true soul music and doesn't even try to appeal to the masses (see: white people; F.U.B.U.). She's managed to do something that most people never can - remain true to self, watch others take notice and receive praise, but not care if they didn't like it in the first place. That takes a whole lot of confidence, courage and faith in the process. All I have to say is pull up a chair, because Solange has some wisdom to share.